The Pierre Amateur Radio Club will be activating the Minuteman Missile National Historic Monument (NS53) in South Dakota this weekend. 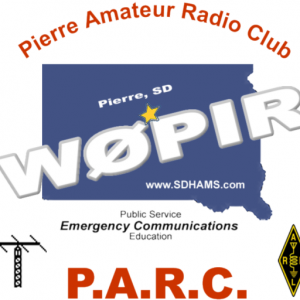 APPROVED: Pierre Amateur Radio Club has asked permission to activate this site in June. We will be using a couple of rigs and operating 6, 17, 20 and 40 meter bands, conditions allowing, SSB and PSK31. Please look for us on the cluster. It’s going to be 101F so we may end early Saturday. TIMES: 14:30 to 20:30 UTC Saturday, June 11, 2016. During the Cold War, a vast arsenal of nuclear missiles were placed in the Great Plains. Hidden in plain sight, for thirty years 1,000 missiles were kept on constant alert; hundreds remain today. The Minuteman Missile remains an iconic weapon in the American nuclear arsenal. It holds the power to destroy civilization, but is meant as a nuclear deterrent to maintain peace and prevent war. – National Park Service.